Get everyone’s attention with some classic game show entertainment. Play Your Cards Right was a well deserved family favourite. 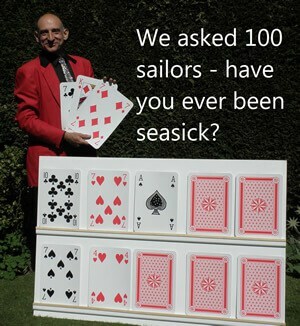 With giant cards and an easy to see display stand Paul Kay will compare a lively afternoon of fun and interaction. Everyone gets to join in and the questions are lively and thought provoking. Teams move across the giant board by answering a question and then guessing whether the next card is higher or lower.